Hi, I'm Michael. 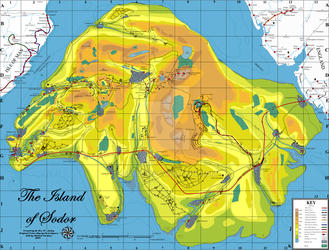 Some of you may know me as 01Salty on Sodor Island Forums and other websites. 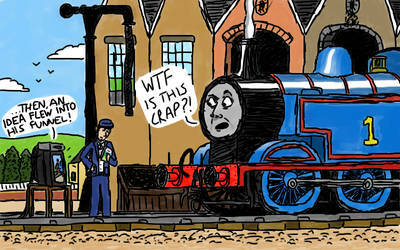 Here I've posted my Thomas and other artwork for your enjoyment. howdy do my muchacho, I'm your latest follower, and I must say you've got some exquisite artwork. Keep up the good work my dude. Here's a question, which character is the hardest to draw for you? Also, what is Bertie's status in the ERS? He doesn't have a bio on the official guide. Also, just released a facepack. Would you be interested in modeling Mike? Sorry for the late reply! I'd say one of the hardest for me to draw was Arnold and Geoffrey- for road vehicles they had a lot of detail! And I believe Bertie does have an ERS profile, in the 'Sodor Road Heritage Museum' section. And I don't really model characters, sorry. Thanks! It's so surreal to think of Bertie as a museum piece. I mean, i know that he's still a working bus, but still.